"We are a part of our people, a splinter of the nation which ... has been separated into a foreign land." uring World War II nearly half a million German prisoners of war were captured overseas and sent to prison camps across America. 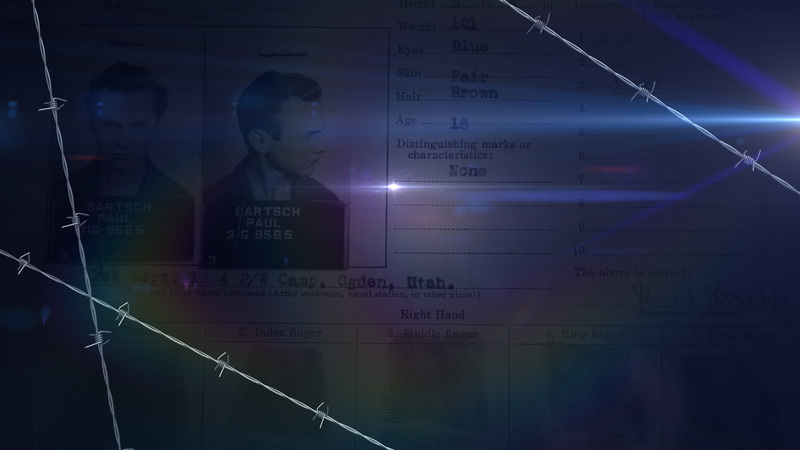 SPLINTERS OF A NATION tells the extraordinary story of 8,000 prisoners sent to Utah. For more than three years, these prisoners worked side-by-side with thousands of civilians on farms and factories across the state. This powerful collision of two enemies on the homefront created life-changing exchanges and friendships that have long outlived the conflict. Tragedy marked the end of their stay as a deranged American guard opened fire on hundreds of sleeping prisoners, killing nine and wounding 19. This tragic event in the small rural town of Salina became the largest WWII massacre on American soil.